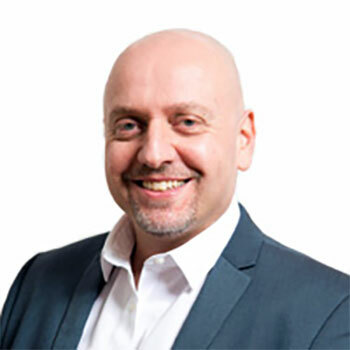 Michael graduated with a BEng Mechanical Engineering in 1990 and since progressed through a range of industries, including Engineering, Petrochemical and for the last 20 years, the Pharmaceutical Industry. With his expertise and knowledge of the Pharmaceutical industry, Michael has been instrumental in the design of turnkey containment systems, integrating an array of process equipment, whilst innovating and directing the development of new high containment split valve technology to service the handling of HPAPI’s. During his time at ChargePoint, Michael lead the innovation of products and process accessories during the early development of ChargePoint and has since been responsible for the development and evolution of the ChargePoint split butterfly valve. Michael is principally involved in technical discussions with process and containment specialists at a corporate level, within pharmaceutical organizations including GSK, AstraZeneca, Pfizer and Roche. He is also responsible for consulting with senior process specialists at global pharmaceutical facilities, OEM’s and engineering organisations within the USA, Europe, China, Singapore, India and Japan, to review, support and identify appropriate process containment solutions, process requirements and provide optimised containment options. With Michael’s knowledge and industry expertise, he has been chosen to speak on diverse containment related topics within various industry forums and events across the globe. BLOCK: FACILITY DESIGN, CONTAINMENT TECHNOLOGIES & PROCESS EQUIPMENT. CASE STUDY: Analysis of containment testing.